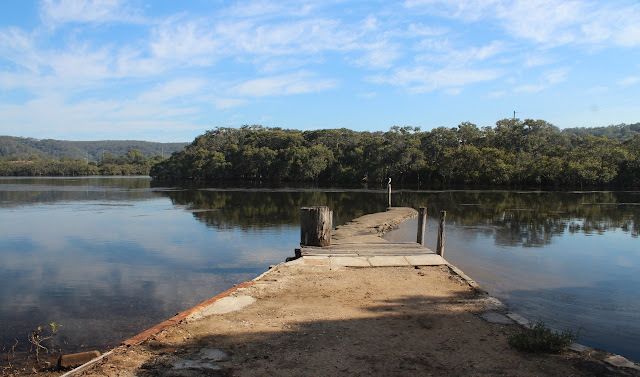 A 4.9km return walk along Fagans Bay at West Gosford. 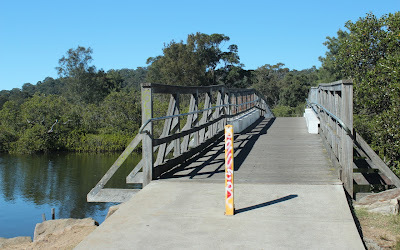 A walk along Fagans Bay at West Gosford from Yallambee Avenue to Goodaywang Reserve. 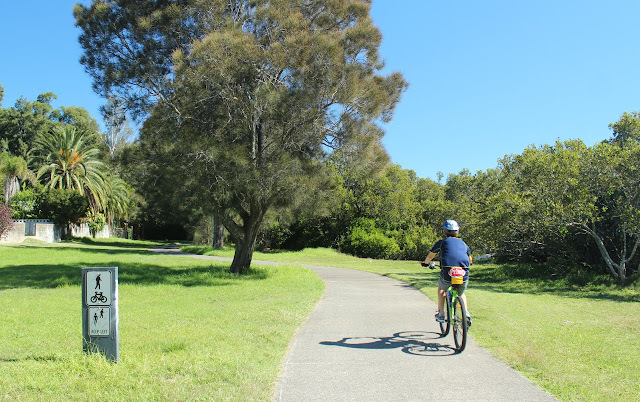 This is part of the Gosford cycle/walking path and wanders along the foreshore with some views of the bay through the mangroves and tall trees that line the path. Some of the path is quite shady which is pleasant in warmer weather. 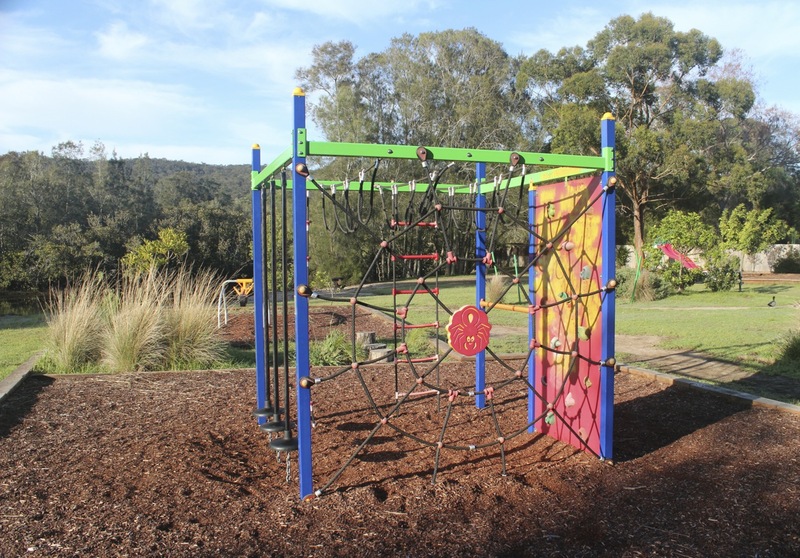 There is a popular children's playground just before the bridge over Coorumbine Creek at the end of Uratta Street with climbing equipment, swings, slippery dip, picnic tables and seats. 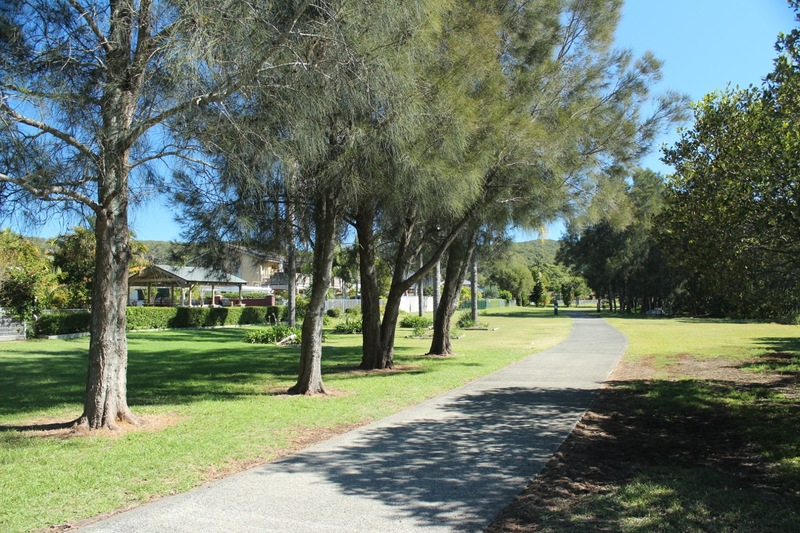 The path is well kept and the grass neatly mown. An occasional picnic table along the path provides a spot for a drink and a bite to eat. 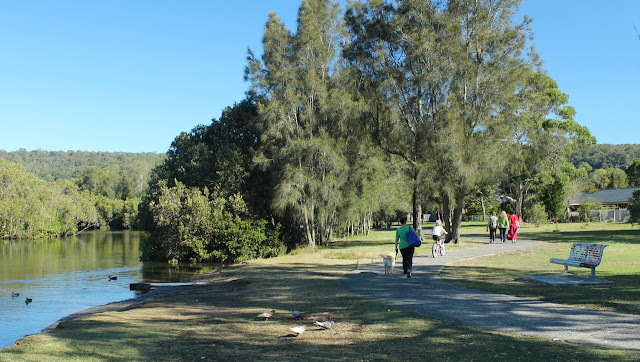 On the way back just after the seat in the above picture close to the start of the path, the path forks and the right path takes you back past the mangroves to the car while the left path goes to the local West Gosford shops where there is a cafe (Michel's Patisserie) for coffee near Coles Supermarket. 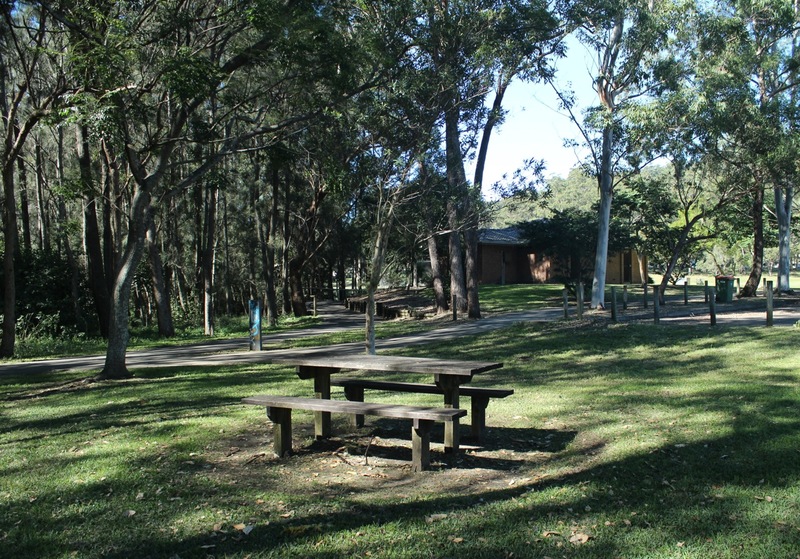 Facilities: playground and picnic tables. Toilets at Fagan Park and Goodaywang Reserve. Length: Total return distance 4.9km. 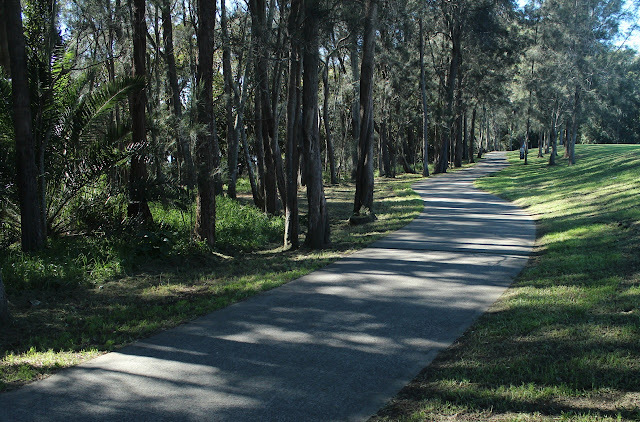 Getting There: turn down Yallambee Avenue from the Central Coast Highway and park along the road. The path starts at the bend in the road before the retirement village. There are also many entry points to the path and almost every side street along Brisbane Water Drive from Uratta Street to Collard Road has an access pathway. 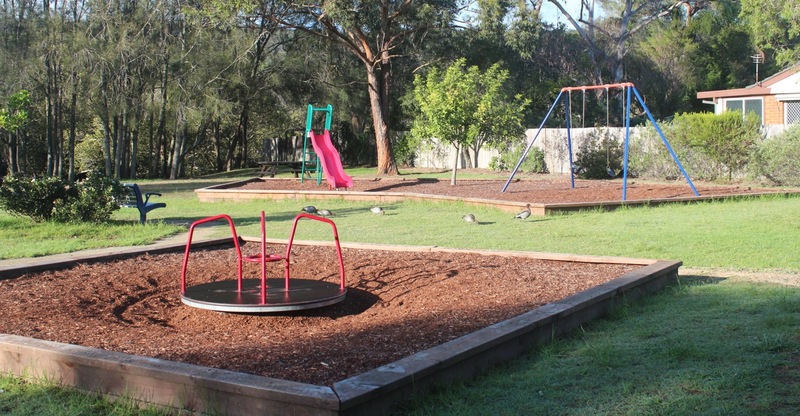 The children's playground is located at the end of Uratta street and there are a few parking spaces available. Continue on: upon return to the start you can continue on to the Adcock Park, Carawah Reserve and Gosford Waterfront walks. Picnic table and toilets at Fagans Park playing fields. Very shady path behind Fagans Park playing fields. The path is shared between walkers and cyclists. Youngsters fish from this peer even when it is slightly submerged at high tide. 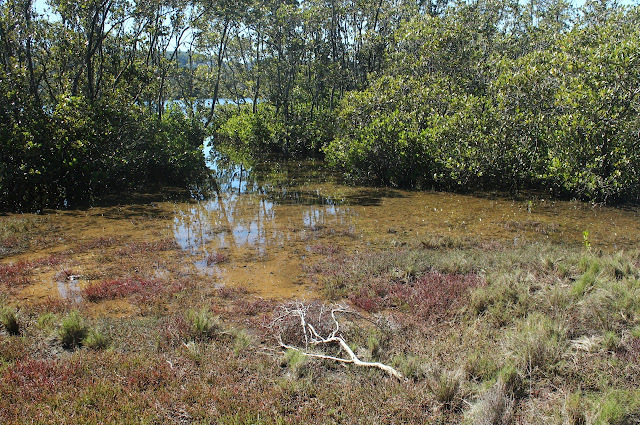 Mangroves line various sections of the path.